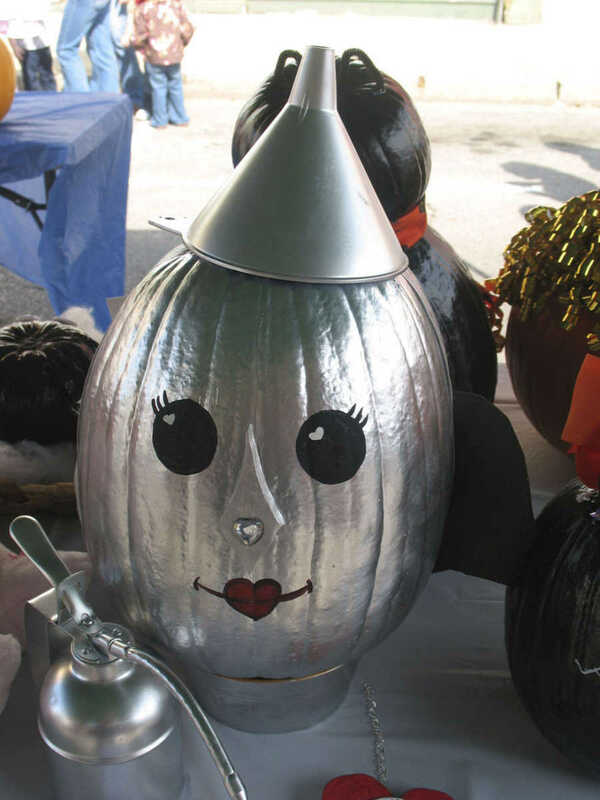 Pumpkins came in all shapes and sizes, and even in the shape of Cinderella's horse-drawn carriage. 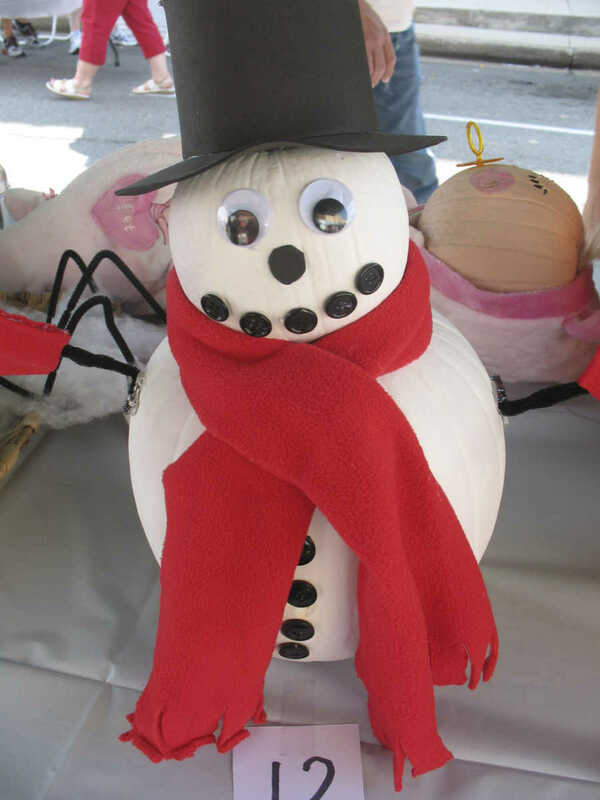 The above entry won special recognition in Saturday's downtown Fall Fest Pumpkin Decorating Contest. 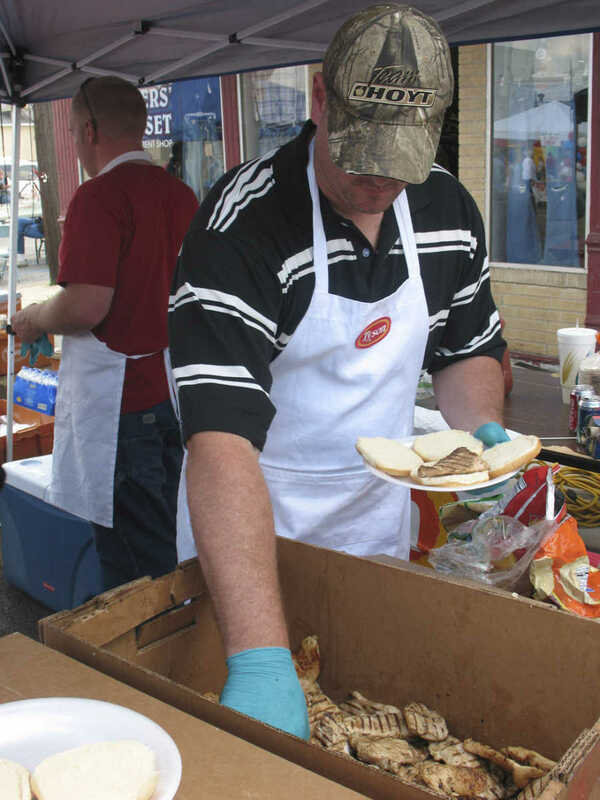 A large crowd attended the 2008 Historic Downtown Dexter Fall Fest in downtown Dexter on Saturday. 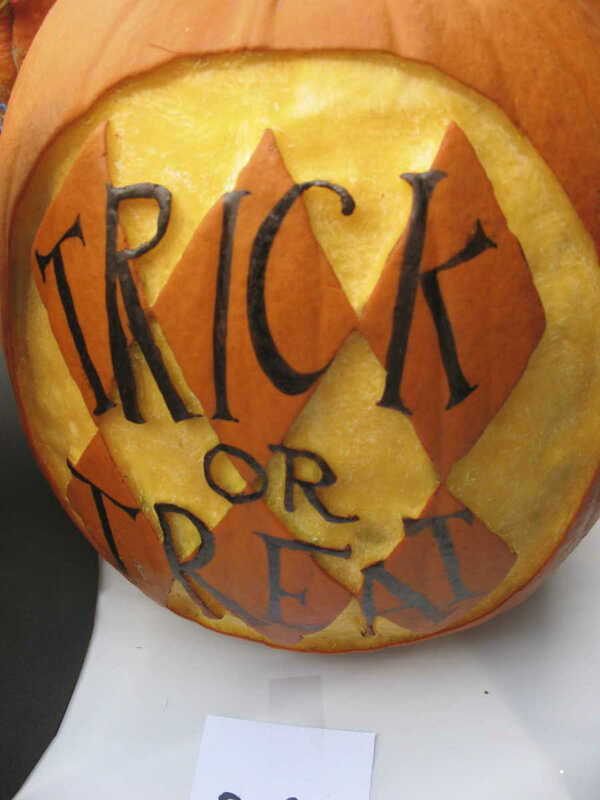 There were contests, vendors and a variety of treats from brownies and apple cake to sno-cones and chili dogs. Music was provided by Heart to Heart, featuring Jerry and Sharon Mays, Harold and the Boys, Mikayla and the Davis Family Tradition and pianist Joseph Greer. 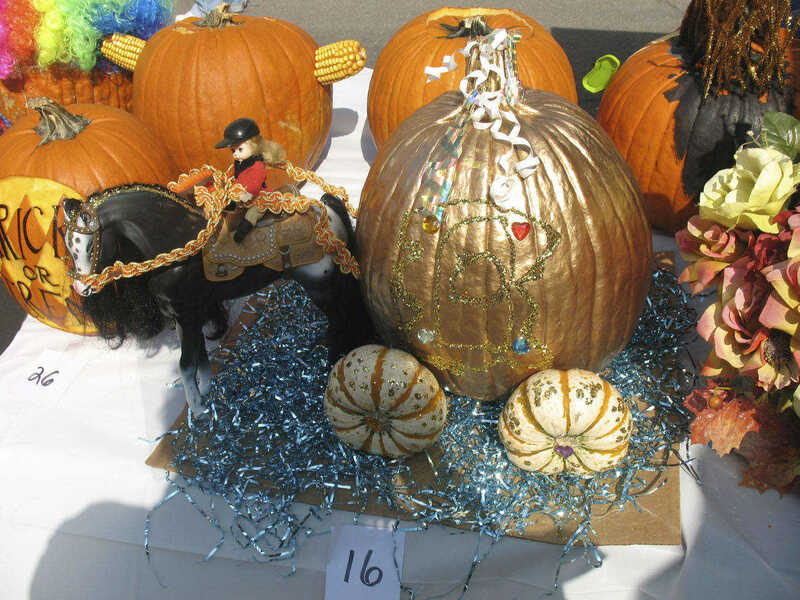 Judges were busy in the early hours selecting the most unique, the scariest and the prettiest pumpkins and scarecrows. Ronnie Patterson of Tyson Foods was on hand to dish out chicken sandwiches and fajitas provided to the crowd for a donation, with proceeds going to the Literacy program at Southwest Elementary School. 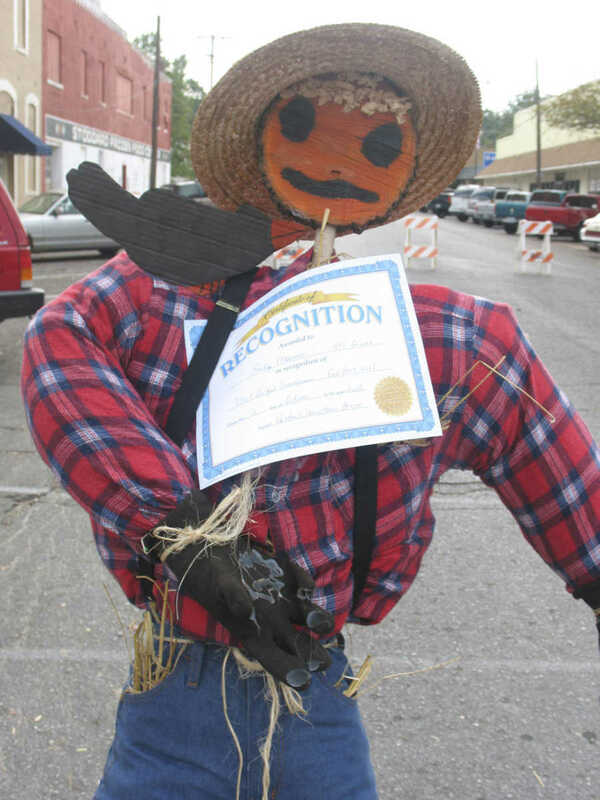 Emily Mouser's scarecrow received special recognition at Fall Fest. There were three entries in the Scarecrow Decorating competition. 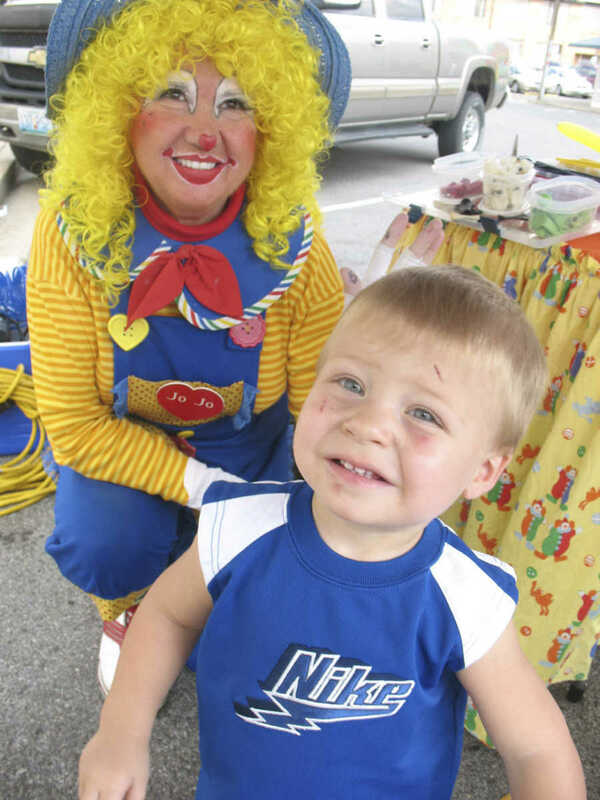 Little 18-month-old Tanner Guiling enjoys a moment with Jo Jo the Clown, alias JoAnn Peck. She was on hand to present the little ones attending Fall Fest with animal shaped balloons. Among the dozens of ornate and meticulously stitched quilts on display at the Metro building downtown for Fall Fest o Saturday, three were selected as standouts. From left to right were first through third place, made by Lana New from Risco, Dolores Gayle from Dexter and Dee Boesen, also from Dexter. 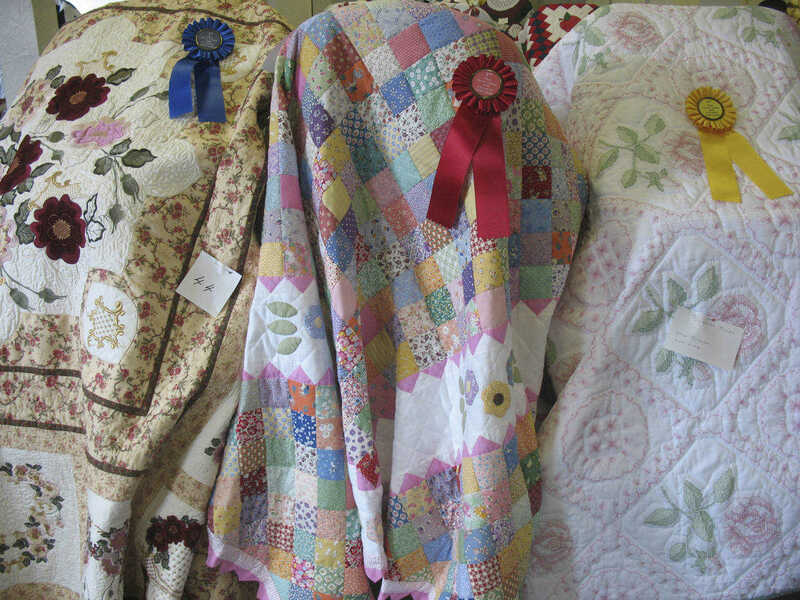 The quilts were judged outstanding by all who visited the display throughout the day Saturday. Michael Lewis doesn't seem to mind as one of the many vendors saturday decorates his hair with some Fall colors! 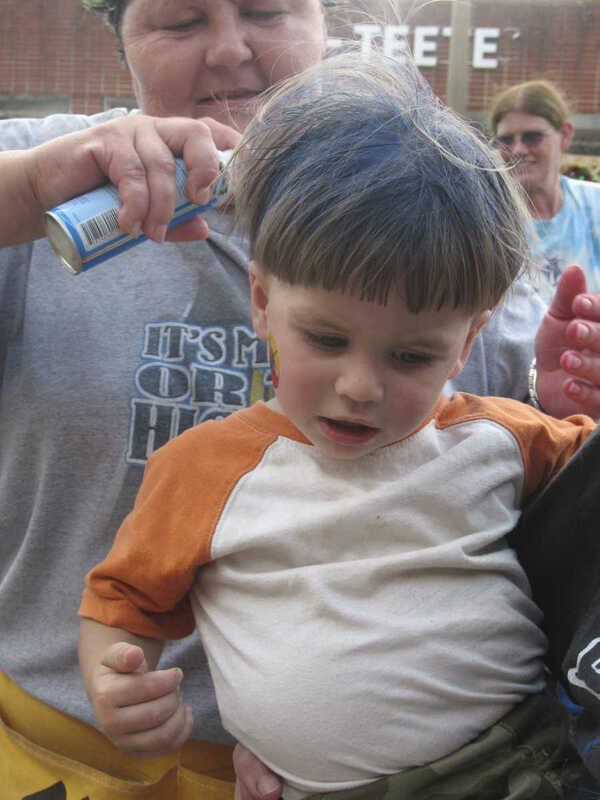 Several youngsters and many adults enjoyed the colorful hairdos throughout the afternoon. 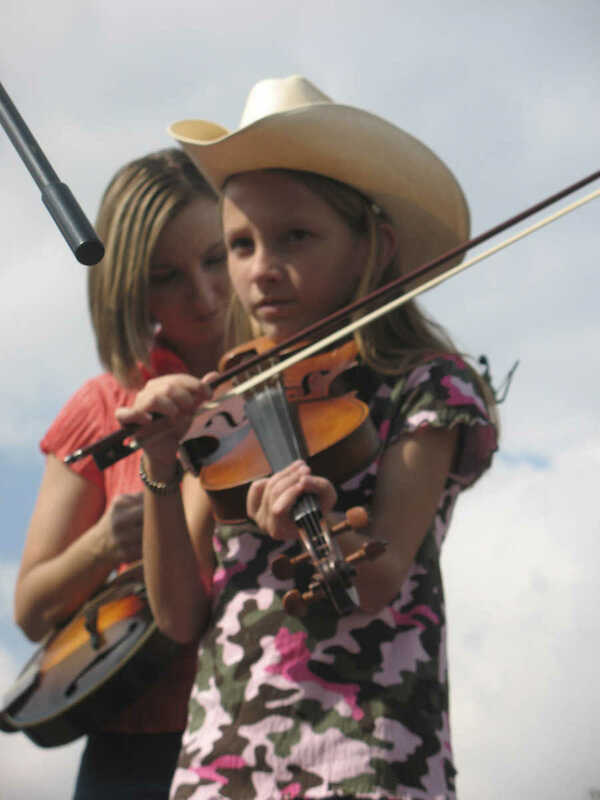 Mikayla Davis of Mikayla and the Davis Family Tradition entertained the crowd Saturday with their gospel music.